KineticD is committed to offering you the best cloud backup services, and your understanding of how we operate plays a big part in that commitment. You don’t want to just ask questions with any kind of service provider that you agree to work with, you’ve got to make sure that you ask the right questions in order to truly understand what you’re getting into and what you’re paying for. 1. Does the Service Provider Work the Same Way that You Do? The relationship between you and your service provider is similar to a friendship or a relationship: in order for it to truly work the both of you have to be on the same wavelength and share similar qualities. For instance, will the service provider work to anticipate your needs or will they wait until you ask them to make certain changes, which may or may not hold you and your business back? Also, do you prefer to receive weekly, monthly or daily updates about the security of your data? 2. Does the Service Provider Have References? Besides checking up on the provider’s reputation, you should also get in touch with their references. Checking references is a bit like performing a background check to get an idea of how the provider worked in the past and what kind of services you can expect. Ask references how the service provider handled problems, how quickly they respond to inquiries and concerns and if their backup services are truly worth the price. 3. How Does the Technology Program Work? Even though you might not fully understand the ins and outs of the service provider’s technology, it’s good to ask about it anyway so that you can make sure that it’s compatible with whatever OS you use for your business. You want your data and information to be backed up seamlessly and in the same original format. 4. Where is the Data Center Located? The physical location of the data center will play a big part in how secure your data is. If the data center is located in an area that is prone to flooding, there’s a very strong chance that you might lose your data the next time there’s a heavy rain in the area where the data center is housed. The same applies to data centers located in areas that are hotspots for earthquakes, extreme temperatures and crime. 5. Will Costs for Services Ever Change? Besides asking how costs are determined, ask if costs will ever change. While it might be hard for service providers to pinpoint exactly when and how much their prices might change, they’ll more than likely be able to give you an inkling as to whether or not you should prepare for either more expensive or less expensive services in the future so that you can plan accordingly. 6. 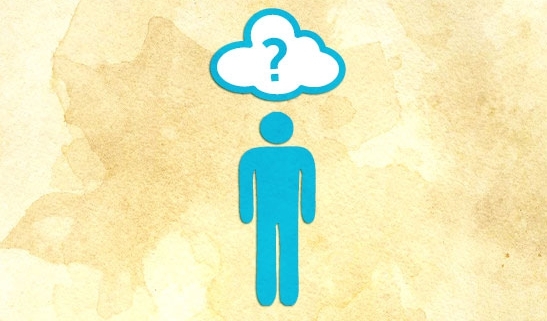 Are There Backups for the Cloud Backups? What contingencies are in place with your service provider in the event that a disaster happens? Will your data be lost forever, or will your data be backed up on several data centers in several different locations? 7. What Type of Professionals Will Be Protecting and Backing Up Your Data? Backup centers are only as good as the professionals who manage them. What credentials and professional training does the technical support team have? Is there a separate customer service department to deal with customers, or will the technical support division be speaking with you? The reason the last question is so important is that you want to speak with someone who can explain things in terms that you can understand. 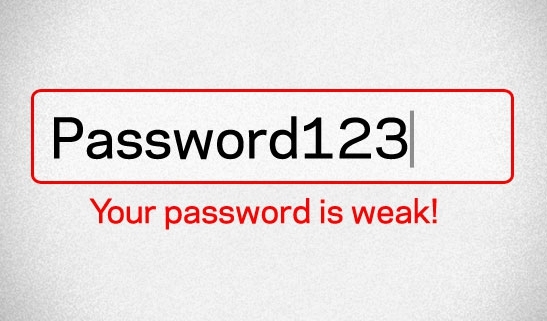 It’s never been more important to make sure that you come up with strong passwords. While KineticD will most certainly protect your data through our cloud backup services, we want to help keep your vital data and information as secure as possible. A password pattern is one of the strongest and most effective ways to protect the contents of your data backup. The most important thing for you to keep in mind is that any password that you use should be easy for you to remember. One thing to remember with this rule is that easy to remember often equates with easy to guess. You may not think that there’s no one out there who could be watching you and your online activity, but you’d be surprised. Don’t make your data easy to get to by using your maiden name or birth date as part of your password. You can never be too paranoid when it comes to safeguarding your data. Since your password is often stored in what’s known as clear-text in databases, it can be easy for someone to find out what it is. If you use one common password for all of the sites that you visit, you might be tempted to use that same password for your cloud security. It’s best that you make your password one that’s more complicated and use that for cloud security. When it comes to the password you use for all of your other online sites, make it something that’s a bit more complex. The biggest danger of using the same simple password is that all of the sites that you visit might not have the same level of security, which means that if someone were to find out your password they’d have access to each and every password protected site you visit. There are special programs that you can use to store your passwords. One thing to keep in mind with these password storage programs is that you have to make sure that you manually change any passwords that are stored since they don’t automatically change like they might with cloud storage. The key to creating a password that’s complicated and easy to remember is to use a pattern. When it comes to patterns, you can either use one that’s only your keyboard or one that you use in your everyday life. For example, if you’re trying to think of a password for your KineticD account, you can take the last letter of our name, which is D. D will be both the first letter and second letter of your password. Now hold down the Shift key and type the letter to the left of D, which is S. D is the fourth letter of the alphabet, so 4 is next in your password pattern. Now hold down Shift and press four again to get $. Your password for KineticD is ddS4$. For extra security, consider doubling your password (ddS4$ddS4$) or putting it in backwards and forwards (ddS4$$4Sdd). It’s much easier to remember a password pattern than it is an actual password. If you ever need to store that pattern, turn to the cloud backup experts of KineticD.